It is officially spring time here in Germany and I saw the first batch of strawberries already out in the groceries, although these ones are imported from Spain, seeing them so red, big and juicy-looking, I can`t help myself getting some. 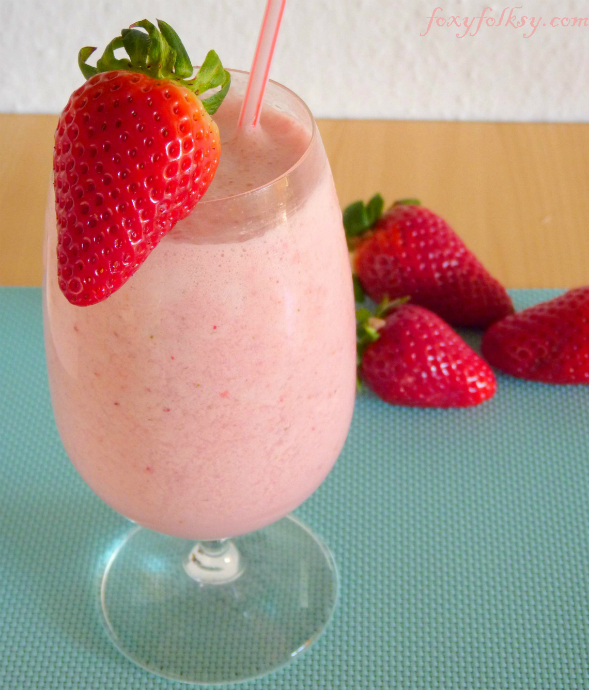 Now, I was thinking what to do with the strawberries we got… so I thought to make an official toast to welcome spring, let’s make Strawberry Smoothie! 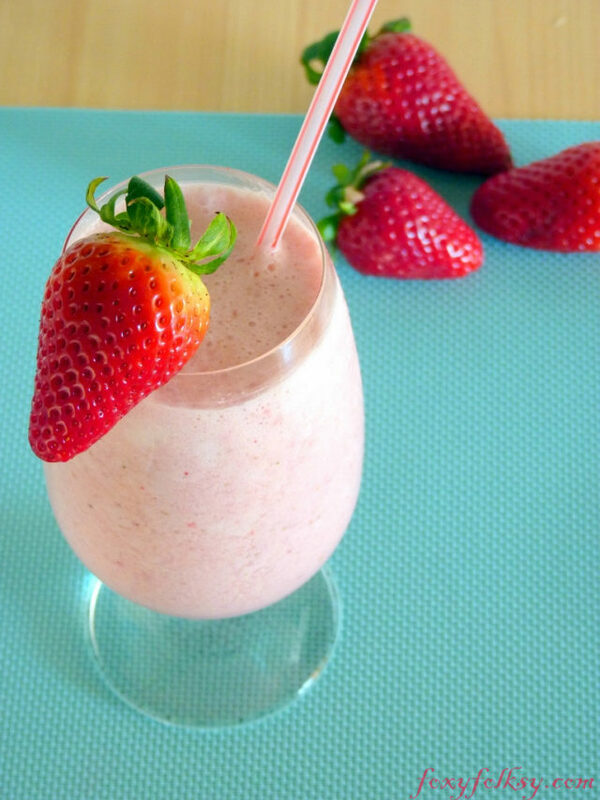 Let's welcome spring with this creamy Strawberry Smoothie. Not only is it delicious, but also healthy and so easy to make! Really good to start your day. In a blender, put together ice and milk first. Pulse several times to crush the ice. 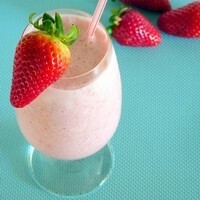 Add the rest of ingredients and keep on pulsing until you reach the smoothie consistency. You may use yogurt instead of cream, if you like it a bit sour. I used a stab mixer instead of a blender, and it did quite fine.